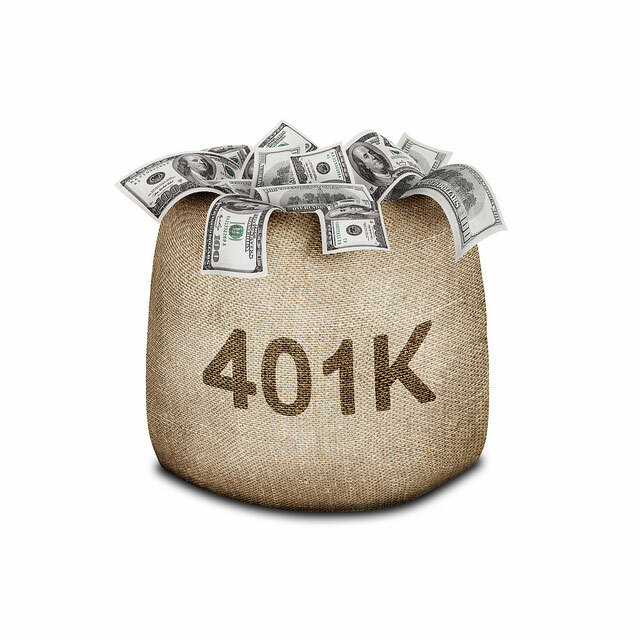 (MoneyWatch) The 401(k) plan was introduced in 1981. By 2006, the total assets in these defined contribution plans had grown to over $1 trillion. The explosive growth has been fueled not only by the tax benefits they provide, but also by the demise of defined benefit plans -- the kind that many corporations had historically provided. Given the amount of assets in these plans, as well as the fact that for over 60 percent of participants their 401(k) plan represents their sole financial asset outside of bank accounts, the actions of plan administrators are vitally important. Given the importance of these plans (and similar plans such as profit sharing plans), investors should be aware of how well plan administrators select mutual funds. The study "Participant Reaction and the Performance of Funds Offered by 401(k) Plans" provides us with insight to mutual fund selection and other questions to ponder. The authors examined the performance of all 401(k) plans that filed 11-K reports in 1994 and used publicly available mutual funds as choices offered to participants. They traced the sample through 1999. This database provided a sample of 289 plan years, representing 43 plans, most of which had seven years of data. Over these 289 plan years, 215 funds were added and 45 were dropped. The following is a review of their findings. On average, administrators select funds that outperform randomly selected funds of the same type. That provides an appearance of skill. However, because the alphas (performance versus benchmark) for the average plan were negative, performance would have improved if passive funds (such as index funds) had been substituted for the active funds that were selected. The outperformance versus the random sample is likely the result of the fact that plans generally choose only funds from well-known fund families with significant amount of assets under management. Mutual funds have economies of scale. Thus, funds with more assets can charge lower fees. It seems that plan administrators ignore the SEC disclaimer about past performance not being a predictor of future performance. As one would expect, when administrators change offerings, they choose funds that did well in the past. After all, who would choose a fund that had performed poorly? Funds that were added to plans had positive alphas for both one- and three-year periods prior to the change. And, unsurprisingly, managers fire poorly performing funds. Funds that were dropped had negative alphas for both one- and three-year periods before they were dropped. The funds that were added had an alpha above those that were dropped of 2.8 percent per year for three years before the change and 2.3 percent in the year before the change (note the declining alpha). Unfortunately for investors, when a plan deleted a fund and replaced it with a fund with identical objectives, the deleted funds outperformed the ones they replaced by about 2.5 percent per annum over the next three years. The authors also examined what happened when a plan replaced all of their offerings from one fund family and added funds from a new fund family. Not surprisingly, they found that the past Sharpe Ratios (a measure of return relative to risk) were higher for the portfolio of added funds than for the portfolio of dropped funds. After replacement, the future Sharpe Ratios were higher for the portfolio of dropped funds than for the funds that replaced them. Once again, inaction would have proved better for investors than action. Do individual investors make rational decisions? The authors found that investors in 401(k) plans were "returns chasers." Exhibiting a herd mentality, they increase cash flows to prior period top performers and decrease them to prior period underperformers. Instead of maintaining their portfolio allocations (by rebalancing their portfolios), they change their allocation decisions in a way that exacerbates the changes in allocation caused by returns. Before concluding, it is worth noting that the findings of the study on the performance of 401(k) plans are very similar to the findings of studies on the performance of pension plans. The 2007 study, "The Performance of U.S. Pension Plans," covered 716 defined benefit plans (1992-2004) and 238 defined contribution plans (1997-2004). The authors found that their returns relative to benchmarks were close to zero. They also found that there was no persistence in pension plan performance. And they also concluded that "the striking similarities in performance patterns over time makes skill differences highly unlikely." The return chasing behavior does not deliver positive excess returns thereafter. Post-hiring excess returns are indistinguishable from zero. It is important to note that the above results did not include any of the trading costs that would have accompanied transitioning a portfolio from one manager's holdings to the holdings preferred by the new manager. As we saw was the case with 401(k) plans, all of the activity was counterproductive. It is also important to keep in mind that these pension plans, because of their size, are generally able to negotiate significantly lower management fees than the fees paid by investors inside of 401(k) plans. Yet, even with the benefit of lower costs, the pension plans were unable to generate above market returns. The study on 401(k) plans, the first of its kind, found that, in general, plan administrators are doing a very poor job of serving their clients. They make poor selection choices in the first place. Then they compound their mistakes when hiring and firing--the investors would have been better served if the plan administrators were "Rip Van Winkles," asleep and unable to make changes in plan offerings. And, investors in the plans compound the problems by chasing returns. These findings demonstrate that investors would be better served if plan administrators limited their offerings to low-cost index funds and if investors put their portfolios on autopilot--setting the portfolio to rebalance on a regular (e.g., quarterly or annual) basis. As Pogo said: "We have met the enemy and he is us."